The IDF on Monday tore down a billboard with the images of two dead terrorists that had been placed outside an Arab village in the Binyamin region. The billboard, at the entrance to the village of Naama, displayed the images of terrorists who were killed last month in a car-ramming attack at the Tapuach Junction. 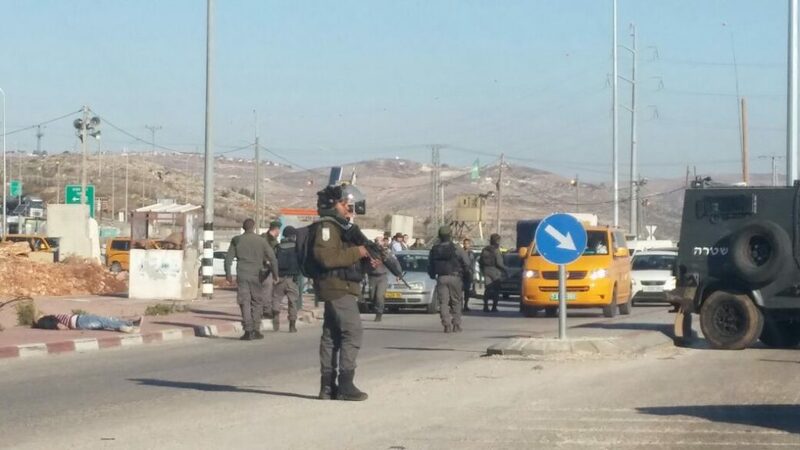 In the attack, an IDF officer was badly injured, and a Border Guard lightly injured. A third terrorist was shot and arrested. IDF soldiers faced off against hundreds of rioters in Kalkilya and Jenin overnight Sunday, as they attempted to make arrests of terrorists hiding in the cities. Rioters threw rocks and firebombs at soldiers, who responded with anti-riot measures. No Israeli injuries were reported. Overnight Sunday, security officials said they arrested 10 wanted security suspects in other areas in Yehudah and Shomron. The suspects were wanted for participating in rioting and throwing stones and firebombs that endangered Israeli civilians and IDF soldiers. Several of the suspects were also charged with belonging to Hamas. All were being questioned on their activities by security forces.